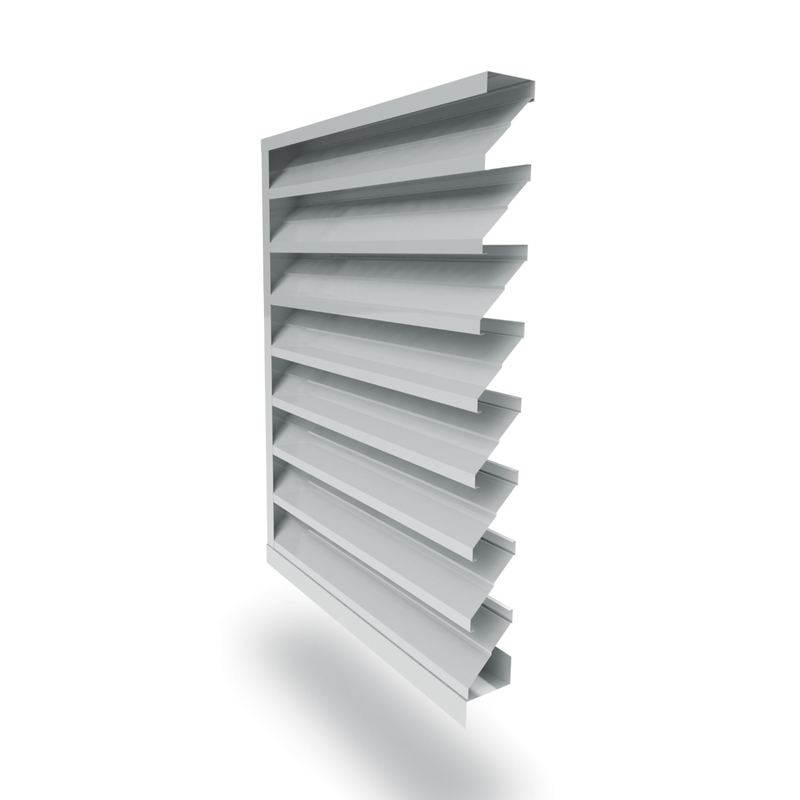 Airocle’s A Series are high-strength fixed wall louvres that improve building security, whilst allowing for natural, economical and environmentally ventilation. Airocle’s A Series offers a versatile, cost-effective solution to improve levels of fresh air in your building. The overall sustainability of your project or facility is also greatly improved. Discover fresher working environments, reduced energy costs and proven performance with Airocle’s A Series fixed louvres. Airocle’s A Series fixed louvres are ideal for a wide range of building purposes. They are particularly helpful for inverted louvre situations, such as plant screens. Many factors impact on the performance of each scheme. Designers must understand and incorporate these into their project design. These factors include the external environment, such as climate, noise pollution, dust and wind direction as well as of course determining the best ventilation system to address the size, scope and layout of your project. The nature of activities conducted inside the building is also a factor to consider. Airocle has more than 30 years’ experience designing and delivering comprehensive, natural ventilation solutions to suit any project. Our team of qualified professionals are available to assist you in choosing the right natural ventilation scheme. Simply Contact Us. Maximum blade span: 1500 mm. 53% free open area – 125mm pitch. Available in Colorbond steel and aluminium. Airocle’s A Series fixed louvres are effective and efficient when it comes to future energy use. All Airocle’s products are engineered and tested to best protect your building from fluctuating weather conditions. The use of natural ventilation provides numerous benefits resulting in better economics for any business or facility, including lower overall energy costs. Airocle’s A Series fixed louvres are easily installed by qualified tradesmen. The louvres are shipped with all necessary fixings to suit your particular specifications. A Series fixed louvres use efficient design coupled with natural science.